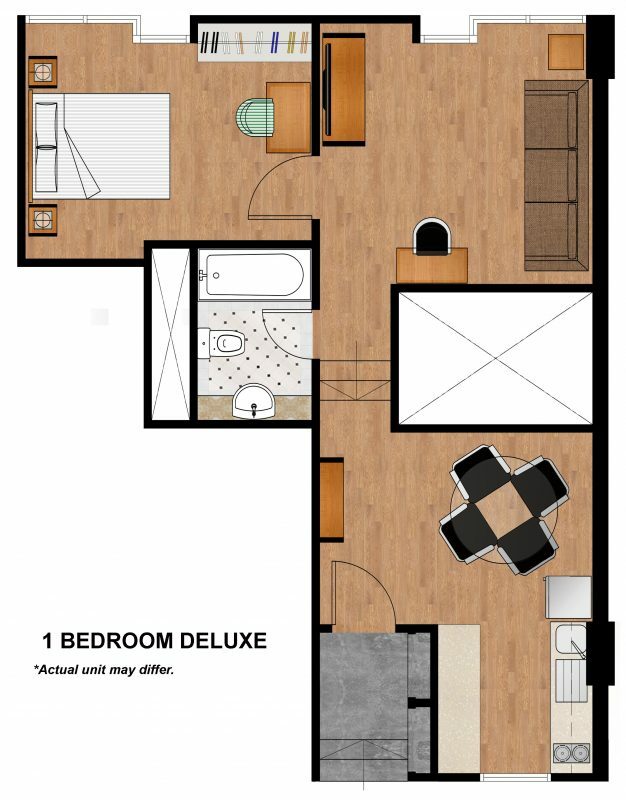 Bask in fully furnished apartment living with the 1-Bedroom Deluxe. Ideal for up to three guests, this inviting space provides guests with all the comforts of home and the conveniences of a hotel. The bedroom includes a comfortable queen-size bed, while a third guest can be accommodated with an extra bed. A fully-equipped kitchen allows guests to prepare home-cooked meals for a change of pace, while the living and dining area provides room to relax and entertain.